When British explorers first made serious attempts to climb Mt. Everest in 1921, they mounted lavishly-outfitted and well-funded expeditions. For 32 years, they made repeated assaults on the summit. Each ended in failure, many in disaster. Gradually the British learned to trust the hardy local guides and porters known as Sherpas. And it was a Sherpa, Tenzing Norgay, who accompanied Sir Edmund Hillary to the summit of Mt. Everest on May 29, 1953. It was Tenzing’s seventh attempt to climb the mountain. Hillary credited Tenzing for the success of the climb, and with saving his life along the way. Since then, Sherpas have been an indispensable part of every successful attempt to climb Mt. Everest. 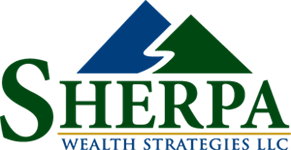 Sherpa Wealth Strategies was created with one purpose: To help our clients climb the summits in their own lives. And like the Sherpas of the Himalayas, we’re with you every step of the way.